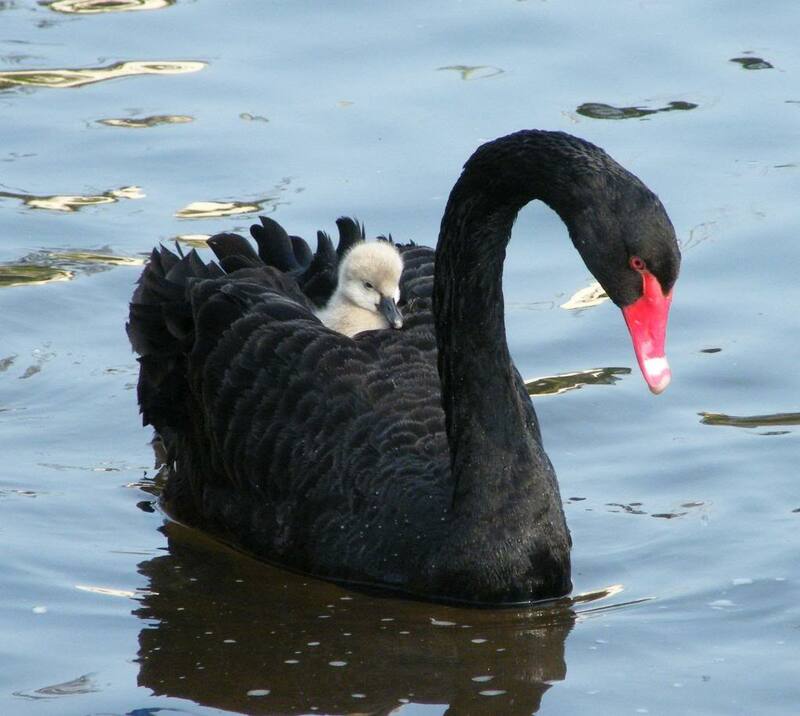 Today I want to write about a beautiful bird that I sometimes see on my way to school, the black swan. These large waterbirds grow up to 1.3 metres long and males are slightly larger than females. They are the only species of swan that is completely black. Black swans are vegetarians, using their metre long necks to reach down and eat algae and underwater weeds. They mate for life and build nests either on the ground or floating on the water. They lay 4-6 eggs and the cygnets are very cute and fluffy. The mum and dad are very aggressive around their babies and will protect them fiercely. On the ground, a group of black swans is called a bank. When flying in a group, they are called a wedge. Black swans are very common throughout Australia and can be found everywhere there is a large body of water except for the very far north east. They have also been introduced to New Zealand and occasionally fly to Indonesia and New Guinea. They are the state emblem of Western Australia. Are there any other interesting facts that you would like to share about black swans? I enjoyed learning about black swans! Thanks. I was searching for black swan photos and came across your blog. really enjoy it, and so happy to see someone your age doing something so meaningful! How do I go about getting permission to use this photo (for postcard)? thanks. One interesting thing about black swans – they have very pure hearts/energy. They will bite anyone who is not as pure-hearted as they are.